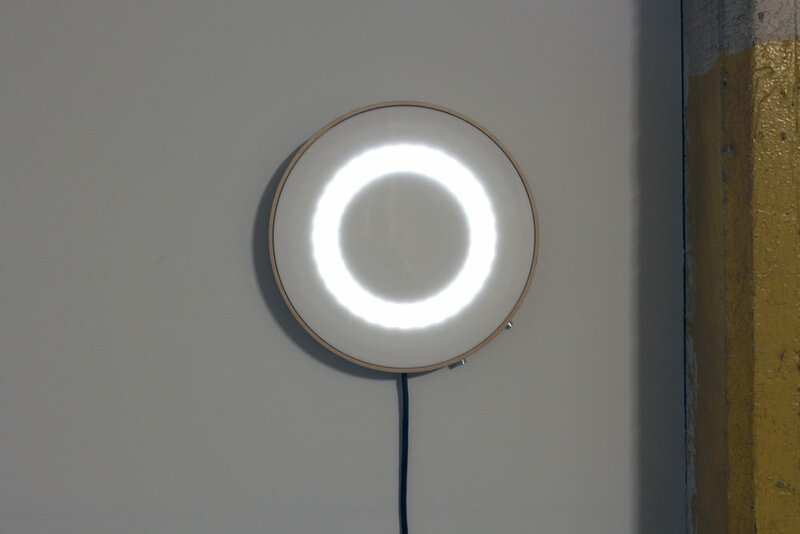 Binary Star is an interactive light object which simulates the behavior of a binary star system: two stars locked in orbit by gravity, circling around a common center. Knobs at the side let the viewer adjust the speed and brightness to their preference. As their rotation speeds up, the lights appear to become a solid white ring. However, only two LEDs are on at any given time- the appearance of a white ring is due to persistence of vision and the frame rate of your brain. I keep mine next to the bed and use it as a night light.